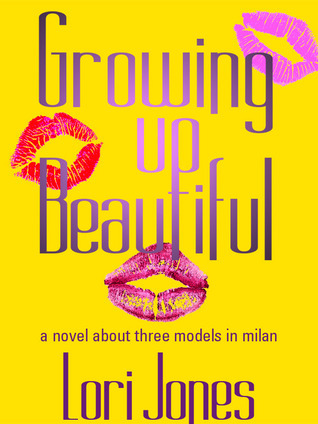 Book Description (from Amazon.com): In the summer of 1986, three young American women are chosen to join a modeling agency in Europe’s fashion capital of Milan. United as roommates by chance, Star, Joanne and Casey soon find their dreamed-of careers as models taking paths as different as their personalities. Star, who leaves behind her waitress job along with a handful of crumpled up dollar tips, sees her beauty as a way move to the top of Milan’s social strata. Joanne, raised in a privileged lifestyle, is expected to continue an Ivy League education, which doesn’t interest her as much as a young photographer she meets on a casting. Casey is a naïve seventeen year old who is ready for adventure, even the dangerous kind. Together, these three learn the funny, unexpected and sometimes ugly truths about growing up beautiful. Growing Up Beautiful races quickly from the gate, introducing readers to the three main characters in the book and providing background information on them, including why each woman has decided to leave her home and accept an offer to model in Milan during the summer of 1986. The beginning also explains the modeling agency’s hierarchy, including who really holds the power to make or break a model’s chances at success in Milan. I was immediately drawn into the world that the author created for her characters. The novel intertwines individual story lines for Star, Joanne, and Casey with experiences all three of them share in their new world of modelling and parties. At times I thought that the women were being treated more as ‘escorts’ than models, and I also wondered whether a seventeen-year-old (Casey), would really have been set loose in Milan without a chaperone to protect her, but accepted the author’s premise that it could happen. This is a perfect book to read in the summer–I was able to immerse myself in the lives of young women who desperately want to succeed in a very-adult world and who are faced with multiple challenges, roadblocks, and questionable ethics in their bids to become famous models. Although I thought there were inconsistencies with some of the characters’ actions–for example when Star reminds her two room-mates that they have to appear worldly but then acts like a country hick right afterwards at a dinner party–I still enjoyed the story and thought the author did a good job with pacing and dialogue. I was a bit disappointed when the book’s ending didn’t wrap the story lines up in neat bows, but when I read there will be a sequel to Growing Up Beautiful, I realized the book ended the only way it could for now. I would recommend this book to anyone wanting to escape into another world for a while and I look forward to reading Lori’s next book. My Rating: 5 Glasses of Wine! When sixteen-year-old Hannah Sheraton is arrested for the murder of her stepgrandfather, a California Supreme Court justice, her distraught mother turns to once infamous defense attorney, Josie Bates. Now a small town lawyer in Hermosa Beach, Josie wants nothing to do with the case since the gruesome evidence points to Hannah’s guilt. When the girl is charged as an adult, Josie can’t turn her back. I downloaded a free copy of this book and left it sitting in my library for quite some time before I decided to read it. Once I began reading, though, I wondered why I had waited at all. The plot–a lawyer defending a sixteen year old girl charged with murder, was intriguing, even if I correctly guessed many of the nuances of the plot line before the author shared the facts with the reader. I had to ignore quite a few grammatical/copy editing errors but find that to be the case with most books I read lately, regardless of whether the books are indie published or distributed by a large publishing company. For the most part I stayed engaged in the story, although sometimes the main character’s motivation for acting/behaving a certain way wasn’t clearly defined. The pace remained brisk throughout the book and I enjoyed the courtroom scenes, but I was disappointed by the ending, which seemed contrived. It didn’t resonate as being realistic, given what I already knew of the two characters involved and their relationship with each other. Even with the flaws I mentioned, I will definitely read the next book in Rebecca Forster’s Witness Series.